IMPROVE FOOT LANDING, CADENCE, PACE AND COMPARE SHOES - ALL WITH A SOCK. SENSORIA FITNESS SOCKS ARE INFUSED WITH TEXTILE PRESSURE SENSORS TO ACCURATELY MONITOR RUNNING FORM AND PERFORMANCE. THE SENSORIA VIRTUAL COACH PROVIDES REAL-TIME FEEDBACK OF FOOT LANDING AND CADENCE AS WELL! OUR EXTENSIVE SHOE DATABASE ALLOWS COMPARISON OF DIFFERENT SHOES, TRACK MILEAGE AND RECOMMEND WHEN IT'S TIME TO BUY NEW ONES! WE PARTNER WITH YOU TO INCREASE REPEAT BUSINESS AND ENGAGE WITH PASSIONATE RUNNERS. YOU AND SENSORIA CAN HELP THEM RUN FASTER, FURTHER AND BETTER. SENSORIA DASHBOARD PROVIDES ACTIVITY HISTORY AND ANALYTICS. ASK YOUR CUSTOMERS TO SEND YOU THEIR END OF SESSION EMAIL AND SHOW YOU THEIR DASHBOARD. 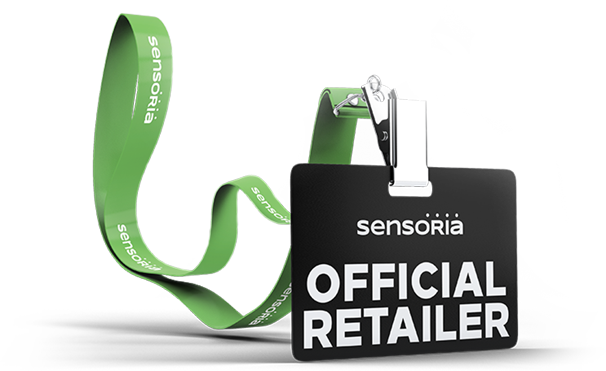 THIS IS AN EXCLUSIVE OPPORTUNITY FOR YOU TO BECOME A SENSORIA RETAILER AND DISTRIBUTE A UNIQUE SOLUTION. Review this presentation that describes how the Sensoria Fitness Smart Socks may improve running form.